Join DiverLaura on her adventures! 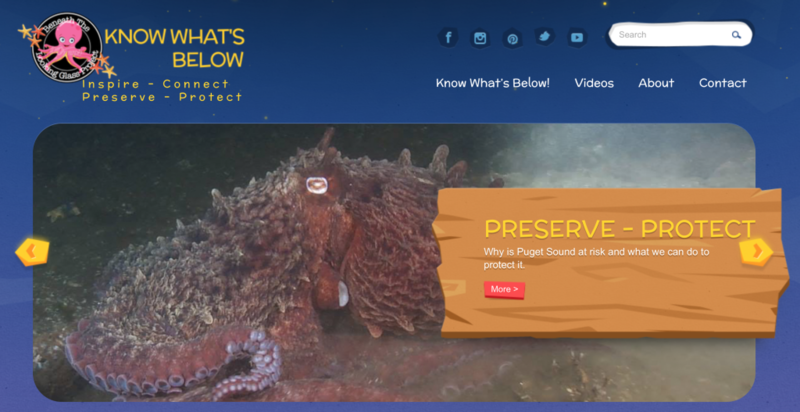 Live stream from beneath Puget Sound! Clicking the button will open a new window displaying my periscope profile page. If the stream is LIVE when the profile page loads, their broadcast will automatically start playing. If the Ocean is a reflection of us, as humanity, are we happy with what we see? I invite you to follow me beneath the looking glass… These will be non-scientific observations of a wild, wonderful world that is being dramatically altered by our every day choices. Every time you look in the mirror, ask yourself, were as many of those choices good for the Ocean (and the planet at large) as could have been? Did I use use reusable, did I recycle and/or use recycled products? Did i do the best i could, and how can i do better tomorrow? Can I fix a small part of what has come before? Can I at least try? I realize that ‘fixing’ the damage that has already occurred is probably not possible, but we must try. At very least we can limit our continuing contribution, at very best make an impact on that which has come before… Proactive Reclamation and Hyperlocal Environmental Activism are our strongest weapons in the fight to protect our beautiful Puget Sound. People protect what they love, but they must know it to love it.